How do you go about self-publishing? What are the important things you need to know? How do you design your cover? What price should you charge for your book? Your title needs to capture the reader's attention, draw them into the story and be clear on the cover. The title of a book should give a basic description of what your book is about. It should fascinate your reader enough that they have to pick up the book for a closer look. Your title should be a simple word or phrase that represents the primary focus of your book. You should try to sum up your book in five words or less. To choose a proper title, brainstorm the content of your book and create a word or phrase that sums up everything for your reader. When chosing a title for your cover you should pick a font that is clear, readable and fits the tone of the book. As most books are shelved with spines facing out, your title is the book's first impression, so this is a crucial stage when you design a book cover. Your title's job is to get the reader to look at the cover of the book. As much as they shouldn't, all readers judge a book by its cover. It's important to have a book with a strong, engaging cover as it is a to write a good story. While trying to decide on a cover design you should start with gathering ideas at your local bookstore or library; look at several new stories in your genre and compare styles, formats, graphics, and layouts. What do they have in common? Decide whether or not to hire a cover designer. Designers can cost anywhere from £100 to £1500 depending on their level of experience and past success. Make sure to research, look at samples and get a quote from your designer before hiring them. Your title and author name should be big and bold, remember it will need to be read as a thumbnail on websites and in greyscale on e-book readers. Your title and author name should work aside your cover image not just be dropped on top of it. Your cover should focus on one central idea or character from your book. Less is more. Remember to extend your design to the book's spine and back cover. Think about how will these fit together, while still allowing for the blurb on the back of your book to be readable. The blurb is the summary that goes on the back of a paperback book, or the inside flap of a hardback jacket. Its function is to advertise the book, to hook a potential reader and make them curious about the story. When writing a book blurb it can be useful to start with a book synopsis and narrow this down so the focus is on the main characters and their quest/problem. A good blurb will not reveal the whole of the story, it should merely tease the reader making them want to continue reading the book. Because of the lack of words in a blurb, you need to use strong nouns and verbs to get your story across. It should be very similar to the summary you’d write in a query letter to an agent but don't give away the ending. For most e-books $3.99 (£2.99) is a sweet spot. Cheap enough for people to buy without much thought and expensive enough for the author to make a good profit per book. For print books, you should try to price them at 2.5 times their production cost so it includes your profit as well as a good margin for the retailer which will be around 20%-50%. This will ensure that even if half your books sell you recover the total production sum spent on the book. You should also promote your books regularly with free or discounted promotions for a limited time to help you build an audience and your profile as an author. Metadata can also include keywords such as your audience or genre. For keywords, be sure to chose words not already used in your title or book blurb. The aim of metadata is to make your book easy to find for readers. The internal layout of your book should look as much like a traditionally published book as possible. This means including a title page, copyright page and your pages need to be numbered correctly (even numbers on the left hand side and odd numbers on the right hand side). For print-on-demand books, you should try to make your page numbers divisible by 2. Margins should be set wide and with your gutter, the middle space, far enough away from the centre to make the book easy to read. You should consider the font you use for the inside and try to use a similar font to your front cover, so all text is of the same theme. Common book sizes range from: 6 x 9, 5.5 x 8.5 and 5.25x 8. Internal layout can be done by professionals or you can purchase reasonably price book designed templates that allow you to follow a set layout in Word before converting it to PDF. 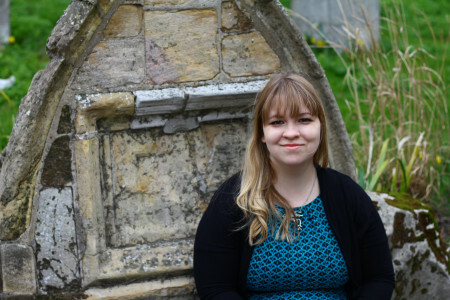 Melissa Brown is an author based in Norwich who published her Novel 'Becoming Death' with funds raised from the crowdfunding platform Kickstarter. Here Melissa describes how to be a successful crowdfunder. “As an indie author it can sometimes feel impossible to figure out how you are going to afford to put together a professional product for self-publication. Last year I found myself in this situation. After spending nearly a year editing and rewriting my first novel, Becoming Death, I realised I didn't have enough money to self-publish the book to the standard I wanted, so I turned to crowdfunding to raise the funds. I imagined, like most people, that crowdfunding my book would be easy. I'd post a few tweets, all my friends would throw in a fiver and the campaign would be funded straight away. I was very wrong. My campaign took more work than I could have ever imagined and became nearly a second job. Luckily, I funded my campaign on the last day and learned some valuable lessons along the way. The first thing I learned was to remember to tell people why you need their help. One of the first tasks you are faced with when creating a crowdfunding project is explaining why you need donations. This can be one of the most difficult parts of launching a project but also the easiest to get people on your side. It's important to remember when you are launching a crowdfunding campaign, you are selling yourself as well as selling a product. Your story and the excitement over the project should come across in everything you do. Some people are more interested in helping launch something awesome than actually receiving the product. Hook your audience by telling them a compelling story and offering up reasons to support your venture. Many of my backers told me my self-publishing story was inspirational and that they were excited to help me achieve my dream. Backers are more willing to contribute to a project if they know that the creators are genuine and passionate about it. Once you have an audience hooked into your project, you need to engage regularly with them locally and online. Your audience is your greatest resource, so it’s important to create a good relationship with them. Be honest and upfront about everything. Do the maths, show your figures. Show you're trustworthy by sharing details about the project -- what it is you are doing and why? Engage your audience with frequent updates and respond to comments and messages as soon as possible. Think about whether the local media will be interested in your project. What about local businesses? Can you get some of your friends on social media to share your project with their friends? Build that audience. The more people that know about your project the more likely you are to fund. Don't be shy, put yourself out there. Leaving your comfort zone is scary. No one wants to beg people to help them. Remember you are asking, not begging. Start simple by asking family and friends for help. Then move onto strangers. I found making a video and repeatedly reminding people how much of a difference their funds could make to me was more than a little intimidating at first but it got easier everytime I did it. I found once people understood what crowdfunding was all about, they were happy to help. Having worthwhile rewards is crucial for having strangers discover your project but having that level of honestly and putting yourself out there is what connects people to your project. You quickly find how much people want you to succeed when you declare you're passionate about your journey. Remember when you do a crowdfunding campaign, you aren't just asking for donations. You are selling a product, and it needs to be competitively priced. Don't forget to include rewards. It isn't reasonable to expect people to pledge £50 to receive an item that will sell for £10. The trick is to design your rewards so they hit all price points and you can still hit your goal. Not all rewards need to cost you money to produce, think about what you can do for free. Use your talents. This is probably the most popular crowdfunding site on the internet. It has raised a total of 220 million dollars from 61,000 projects so far. See last week’s post for more details. This platform is slightly different from Kickstarter because there’s a funding option called ‘Flexible Funding’ which means you don’t have to reach your funding goal in order to access your donated money. IndieGoGo charges a higher fee for this which is 9% of your total. This is the best fundraising option for a variety of projects, raising funds for a cause, for example, or for a personal travel plan – perhaps a research trip for a book you want to write - or medical or even vets bills. Go Fund Me takes 5% from every donation placed. This site was funded in 2013 and was created to help fans engage with the artists and creators they love. Instead of backing large projects, fans can donate a monthly amount to encourage creators to produce regular content. Many visual artists, included filmmakers, are supported on this site but it can work for writers too. Patreon takes 5% of donated fees. Please note that all crowdfunding sites will take a fee and there will also be charge fees too, either Paypal fees or credit cards fees. These will take a further 2 – 5% from your donations. Next week we will look at two publishing/funding platforms which are specifically aimed at authors who don’t want to go down the traditional publishing route. With many thanks to Melissa Brown for the above info.